A quick note on updates. This is a permissions problem. 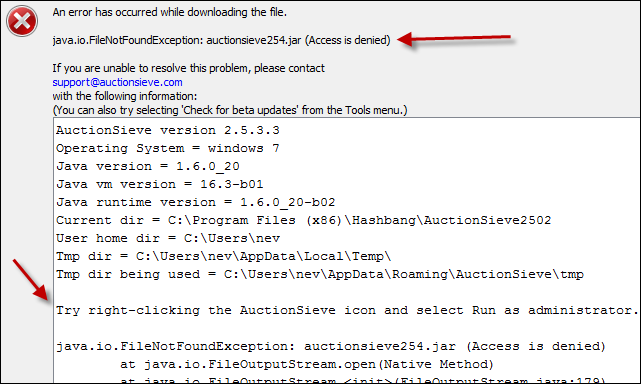 You need to run AuctionSieve as an Administrator so the update can be downloaded and applied. You’ll now be able to download the update. After that’s done, just run AuctionSieve as per usual.